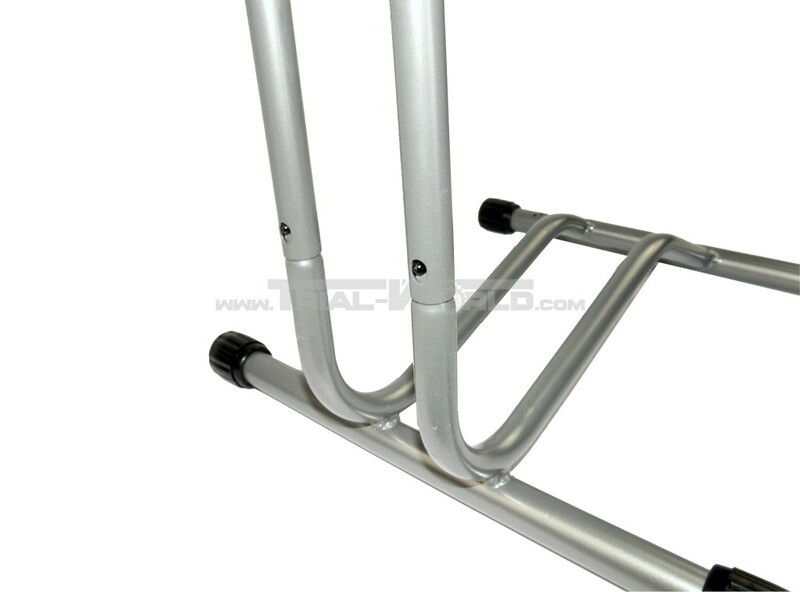 This is a very practical and extrem stable bike stand made of powder coated steel tubes. 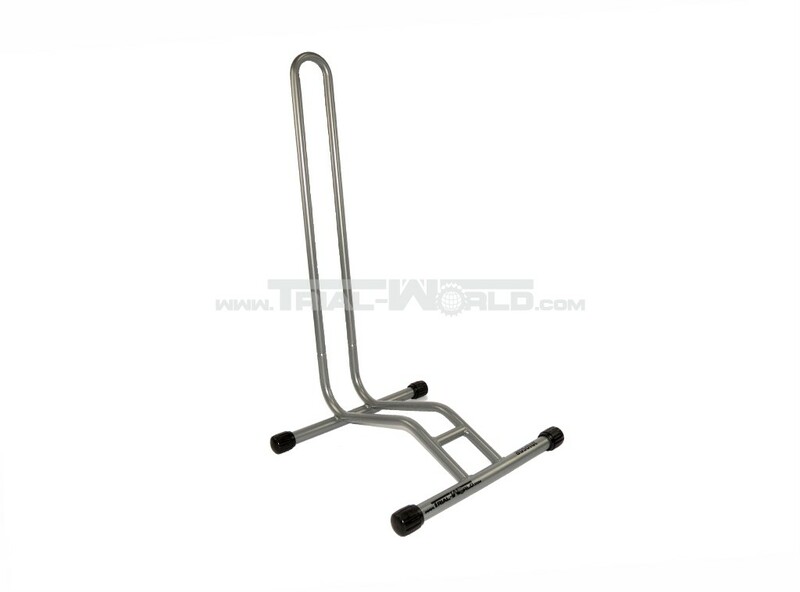 This stand provides a safe stand of your bike, whether in the vehicle, at the competition, in your garage or your workshop. 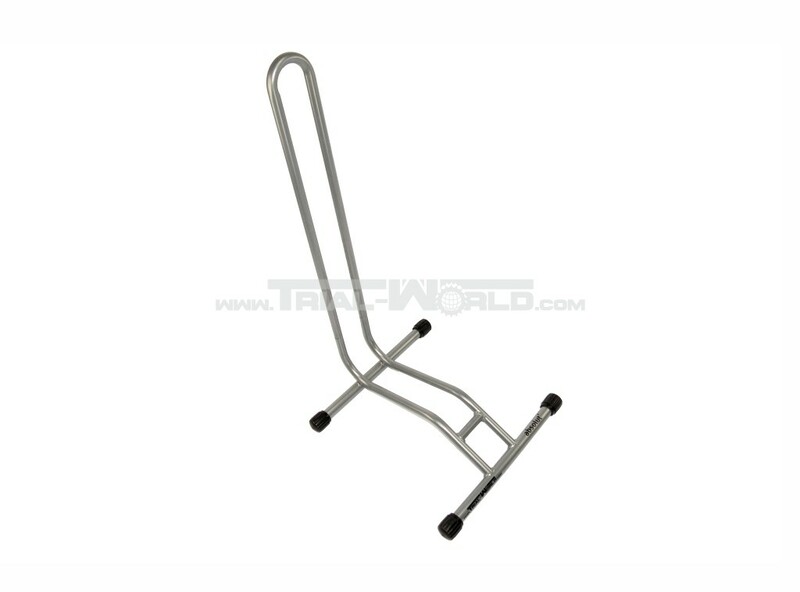 You can either stick (clamp) your front or rear wheel. 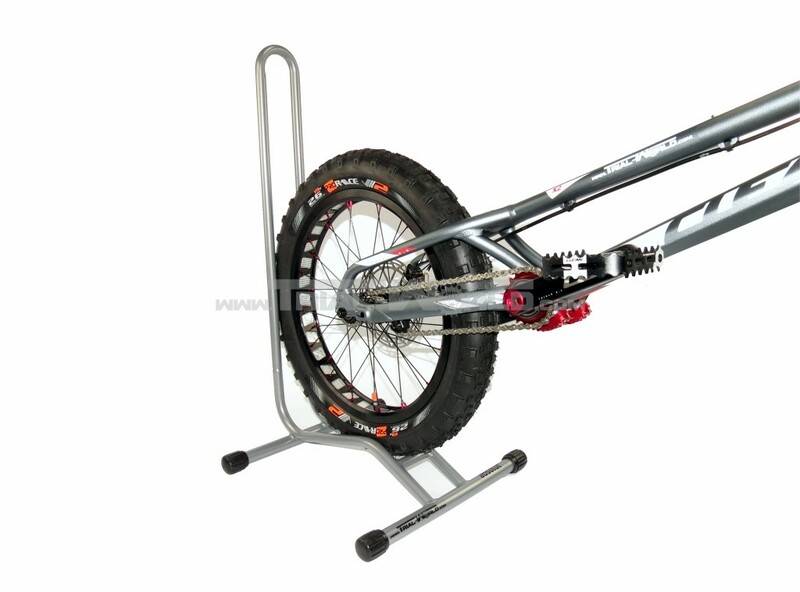 Through its special construction there is no risk to bend your rotor, if you have a bike with disc brakes. 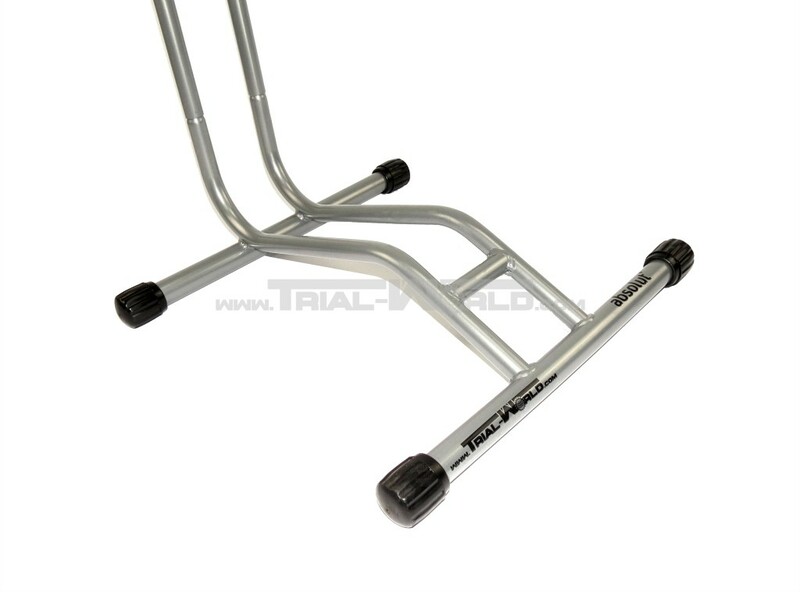 Space saving demountable in two piece and suitable for wheel sizes from 20“ to 29“. The strap is secured locked by a snap closure.